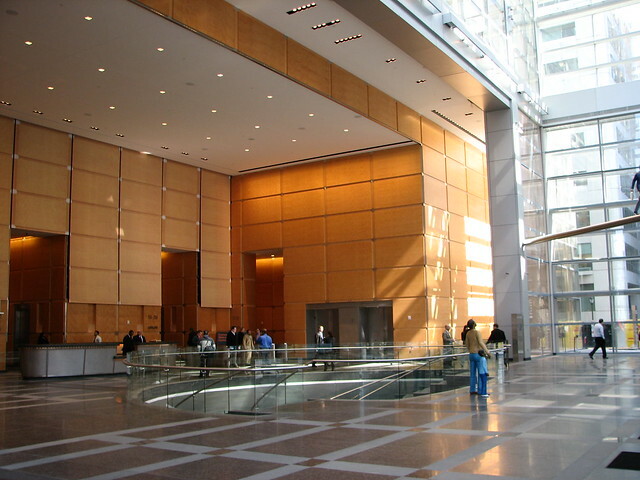 Video as an architectural element in Philadelphia's Comcast Center. Video as an architectural element. 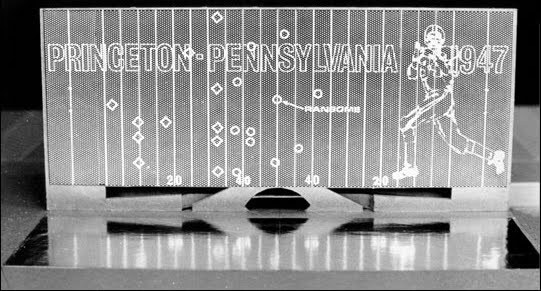 In an unbuilt 1967 competition entry for the College Football Hall of Fame, Robert Venturi and Denise Scott Brown designed a building whose façade was a large electrified billboard. The screen carried moving images that could be viewed while sitting in one's car in the parking lot, much like a drive-in movie. Over the years Venturi and Scott Brown made several proposals to integrate digital technology into their architecture, though none were actually built. So it must be a bittersweet vindication to see a full-fledged example of their idea in the heart of Philadelphia, their hometown. The Comcast Center, designed by Driehaus prize-winner Robert A.M. Stern, is a 58-story glass tower whose lobby is a soaring all-glass conservatory. The walls at the back of the space, which lead to banks of elevators, are covered in light-colored maple paneling. Or so it appears. In fact, a 25-by-80-foot section of the rear wall is the world's largest high-definition LED screen, which carries an image of maple paneling that matches the rest of the lobby. Then the show begins. Images of sprocketed wheels and gears descend magically from the ceiling to take their place in front of the paneling. Eventually, an entire clock mechanism is assembled, the wheels begin to turn, the hands tick-tock, and a Strauss waltz plays in the background. The whole video performance takes barely a minute or two, before the mechanism fades away and the paneled wall is once again empty. Shortly after, the maple panels are replaced by transparent glass and we are looking into a giant aquarium filled with schools of fish, stingrays, and a lazily swimming shark. According to Graham Wyatt, a partner at Robert A.M. Stern Architects, Brian Roberts, CEO of Comcast, wanted something videolike in the building's lobby. "The lobby was under construction, and we had chosen Jonathan Borofsky to create a sculptural work, so we looked at several video artists, but none seemed right," says Wyatt. "We definitely didn't want a JumboTron, which would make the lobby look like a sports bar. We thought the screen should be integrated with the architecture. The breakthrough occurred when we realized that an image of the paneling could be a kind of screen-saver." Content was the responsibility of the Niles Creative Group, a New York video-production studio whose clients include Radio City Music Hall, Disney, and the Discovery Channel. "It is to Brian Roberts' great credit that he agreed that this would not be about Comcast," says David Niles. "The challenge was how to make the images stay fresh for people going in and out of the building daily." The solution was a library of video clips organized according to what Niles calls moods. To avoid repetition, an automated "content delivery system" assembles clips—or portions of clips—according to the day of the week, the time of day, and even the number of people in the lobby. (There are sensors in the space.) 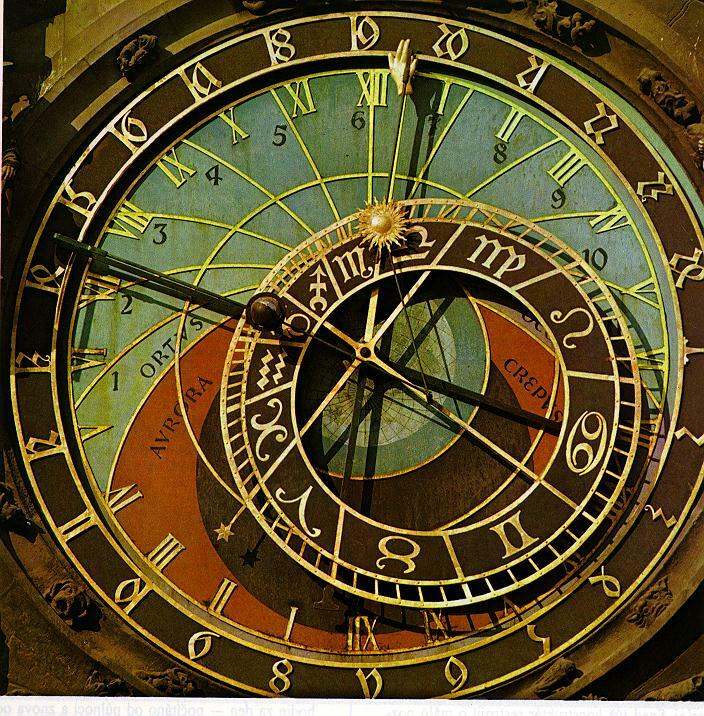 "The permutations are designed, not random," emphasizes Niles, who likens the system to a medieval astronomical clock that tracks the movements of the sun, moon, and stars. The so-called Comcast Experience runs for 18 hours a day. Some of the segments are little vignettes—"like New Yorker cartoons," says Niles—featuring a recurring cast of Broadway actors, dancers, and acrobats in unusual situations: descending on window-washing platforms, doing back-flips, swimming. The figures appear completely lifelike, thanks to the high resolution of the Belgian-made 10-million-pixel screen. Sometimes the digital wall becomes a huge movie screen. 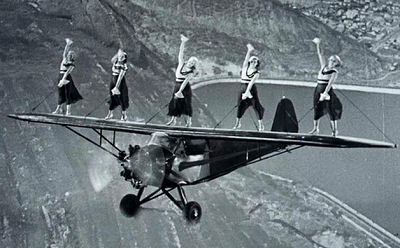 The day I was there, I saw a view of Logan Circle, a Philadelphia landmark, as well as an uproarious clip from Flying Down to Rio, chorus girls dancing on airplane wings. The Comcast Experience is a kinetic version of the wall and ceiling frescoes that were common in the Renaissance and likewise integrated art with architecture. Giant murals were also a feature of public buildings in the 1930s. Perhaps the greatest work of that period was Diego Rivera's mural, Man at the Crossroads, at Rockefeller Center, although Rivera's inclusion of Trotsky and Lenin insulted Nelson Rockefeller, who ordered the mural destroyed. Nobody would find the Comcast moving images insulting; they are more like Veronese's domestic frescoes—good-natured, quirky, and just plain fun. Witold Rybczynski is an architect, professor, and writer. From 2004–2010, he was Slate’s architecture critic. Visit his website and follow him on Twitter.